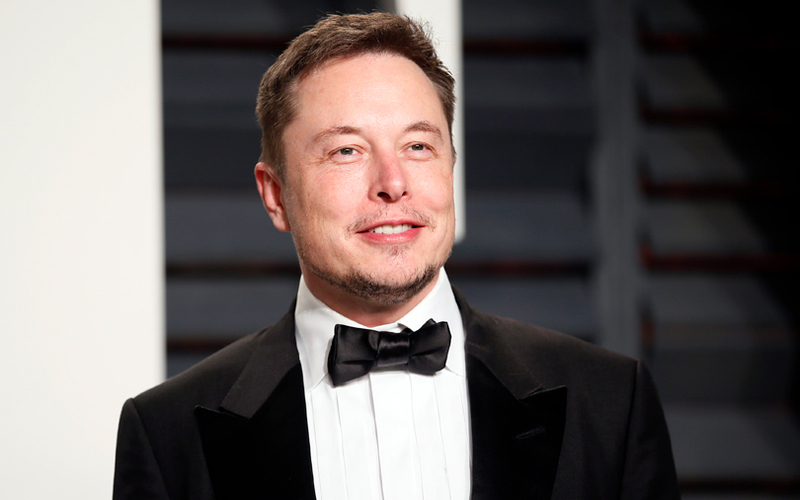 In the week gone by, the biggest newsmakers in the Indian technology and startup ecosystem were Uber’s new chief executive Dara Khosrowshahi and Tesla’s Elon Musk. Khosrowshahi’s India visit set the rumour mills speculating about a possible Uber-Ola merger. However, according to the Uber chief, the ride-hailing firm’s official position remains unchanged and it will invest more into India. While in India, Khosrowshahi talked up the Uber Elevate project, which is the firm’s initiative to launch flying taxis, and took a swipe at Hyperloop, the transportation system chalked up by Tesla’s founder Elon Musk. In response to a tweet by a TechCircle correspondent, Musk gave Khosrowshahi a reality check. However, both initiatives are years away from attaining commercial market reality. In other developments, Amazon’s food retail and processing arm quietly began piloting its operations in Pune and budget hotel aggregators OYO and Zo went to court for a final say. The week also saw a number of funding deals, among them an investment by an Infosys co-founder into a submersible drone startup. Business-to-business e-commerce platform Udaan and software-as-a-service platform Capillary bagged large cheques. During his India visit at IIT Delhi, Uber's new CEO Dara Khosrowshahi said that the ride-hailing company will continue to invest in India as it readies to go public next year. Khosrowshahi envisions India as a core market for the company as well as a second tech centre as it has a huge talent pool of engineers who can improve Uber’s products. India accounts for more than 10% of Uber’s trips globally, but is not yet making money and has barely scratched the surface of the $5-trillion transportation sector, he added. SoftBank had picked a 15% stake in Uber last month. The Japanese conglomerate is also an investor in Ola, which is Uber's biggest competitor in India. While acknowledging Ola as a healthy competitor, Khosrowshahi believes that the firm’s competition lies in car ownership. Uber last month announced that it would be bringing back UberAUTO, the autorickshaw service it discontinued two years ago, in India. Uber's Khosrowshahi took a swipe at Hyperloop on Thursday but was instantly given a reality check by Tesla CEO Elon Musk, one of the pioneers of the superfast transportation technology. While talking up his ride-hailing company's Uber Air project during an event in New Delhi, Khosrowshahi said he could see commercialisation of the flying taxi service happening within five to 10 years. "Why do you need to dig tunnels for transportation when you can fly?" the Uber CEO quipped in response to a question on Hyperloop. Musk hit back on Twitter while responding to a query from TechCircle about Khosrowshahi's comments. “If you love drones above your house, you’ll really love vast numbers of ‘cars’ flying over your head that are 1,000 times bigger and noisier and blow away anything that isn’t nailed down when they land," Musk tweeted. Musk, however, did not directly mention Uber's flying car project. While the tech billionaire is not a supporter of flying cars on Earth, he did send his Tesla Roadster, an electric sports car, into orbit recently as part of a Space X rocket launch. The matter did not end there. Khosrowshahi took Musk's comments as constructive criticism and posted a tweet of his own that even hinted at a collaboration. “Challenge accepted. Improved battery tech (thx 2 @elonmusk) and multiple smaller rotors will be much more efficient and avoid noise + environmental pollution. https://t.co/563U0RqDYF” Khosrowshahi tweeted in response. E-commerce firm Amazon India is quietly rolling out its ambitious food retail venture in India, starting out in Pune, according to a media report. Under the pilot programme rolled out in the city, Amazon operates as a vendor on the e-commerce website. A pan-India rollout would take at least a quarter. The venture will sell third-party items as well as Amazon’s food products produced and packaged locally. The development comes after the US-based giant secured the government’s nod to invest $500 million (Rs 3,228 crore) in India’s food retail sector in July last year. In 2016, the government had allowed 100% foreign direct investment (FDI) in the food processing sector. Home-grown online grocery space players BigBasket and Grofers, too, have received government approval to invest in the food-only retail business. The OYO-Zo episode raised its ugly head once again. After a deal failed to materialise with Oyo calling off the merger sometime in October last year, the long-sparring online budget hotel operators will now let the courts have the final say. The short version of the saga is that OYO claims it was once interested in acquiring Zo but thought better of it after due diligence. Zo, on the other hand, says a deal was signed on paper but OYO failed to honour it. The latest round of the bout began after the two companies started trading charges against each other. OYO sued Zo and filed a criminal complaint against its founders on January 16 under sections of the law related to cheating, criminal trust and misrepresentation of data. Earlier this month, Zo filed an arbitration petition in a Gurgaon court accusing OYO of stealing data about its employees, assets and hotel properties under the garb of speeding up the acquisition. Though there have been several accounts of a merger in the past, Oyo and Zo have never officially announced or confirmed anything. In the week gone by, Flipkart-owned fashion e-tailer Myntra saw some top-level exits as its chief product officer Ambarish Kenghe and chief revenue officer Naresh Krishnaswamy resigned from the firm to pursue interests outside the organisation. Both executives will continue in their respective roles until the end of the financial year to ensure a smooth transition, Myntra said in a statement. Likewise, logistics startup Rivigo, which is almost a privately valued Unicorn now, saw its chief technology officer, Hemant Khandelwal, and head of engineering, Swamy Seetharaman, resign from the firm, people familiar with the development told TechCircle. Khandelwal is serving his notice period. Besides senior executives, mid-level executives including engineering manager Shashank Gautam and Abhishek Mohan from the client services division also quit the firm. Mahindra and Mahindra will merge its on-demand logistics platform connecting cargo owners and transporters, SmartShift, with truck rental startup Porter, the companies said in a joint statement. The Mahindra group will invest Rs 65 crore in the new company to bring operational synergies. However, the merged entity will retain both brands to serve their respective customers. As part of the deal, Pranav Goel, the co-founder of Porter will be appointed as the chief executive of Mahindra SmartShift, while incumbent CEO Kausalya Nandakumar will ensure a smooth transition and integration of both companies as the joint entity’s interim co-CEO. SmartShift, which facilitates intra-city pickup and delivery, was the first digital mobility startup incubated by the $19-billion Mahindra Group in 2015. Porter had raised a $10-million Series B round from Mahindra Partners and existing investors, Sequoia Capital and Kae Capital, in December 2016. The top deal this week was the $50-million (Rs 324 crore) Series B investment into Bengaluru-based B2B e-commerce platform Udaan, which was led by existing investor Lightspeed Venture Partners and new investor, Russian billionaire Yuri Milner’s Apoletto Fund. Likewise, Capillary Technologies Pvt. Ltd, a SaaS provider for retail chains, raised $20 million (Rs 128 crore) from private equity giant Warburg Pincus and global venture capital firm Sequoia Capital. Infosys co-founder and founder of Axilor Ventures Kris Gopalakrishnan placed his latest bet on Chennai-based tech startup Planys Technologies Private Limited. The startup, which provides under-water inspection and survey solutions using custom-built submersible drones, is raising a Rs 14 crore in a Series A round. The development was reported by Paper.vc, a data and research platform for private markets. Doodhwala, an online milk and essential delivery startup, raised $2.2 million as an extension to its pre-Series A round from impact venture fund Omnivore. Bangalore-based premium bike rental platform WickedRide bagged $1.5 million from the family office of Sutures India founder Chandrasekhar Gopalan. The investment was made in November last year. The company is in the midst of closing $10 million as a fresh funding round from Sequoia Capital and Accel Partners.